It is time for Christmas cookies! Order a a mixed variety gourmet cookies by the dozen. 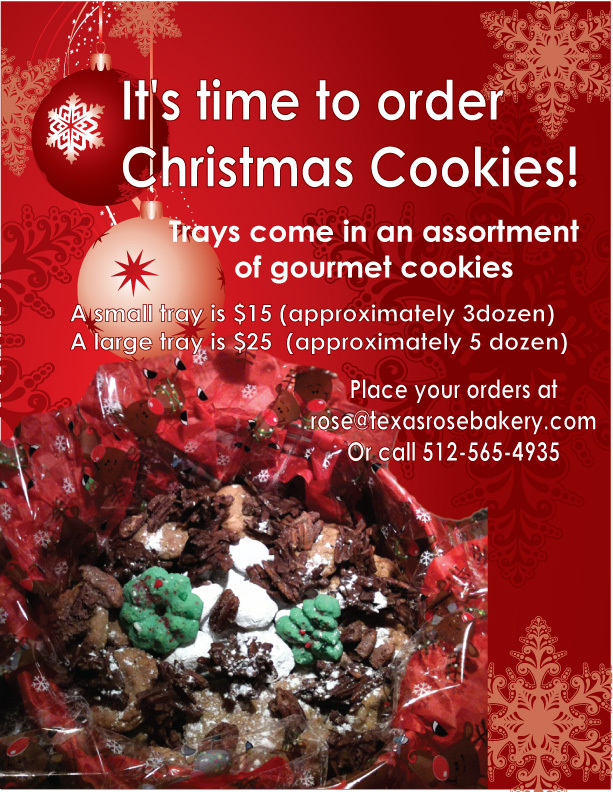 We offer trays of three or five dozen. We can also package them in a decorative tin.